Is Microsoft Trying to Change? 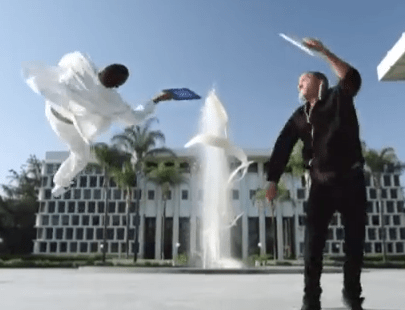 Microsoft just release it’s first television ad for the Surface tablet. It is called “The Surface Movement” where the characters spontaneously enter into a dance routine focused around their unique attachable cover keyboards. The Surface tablet itself wasn’t prominently featured, but the coordination involved in the dance routine is impressive and those keyboards had drawn a lot of interest because it simply made a lot of sense to integrate it into the cover. Microsoft has always had this perception of being an “old” company that doesn’t really change or try new things. However with this new Surface tablet, they have taken a big step towards trying something completely new, with a new interface, a creative keyboard and now this light-hearted ad. Fun? Cool? Or trying to hard? Been hearing good things about Surface, and the general buzz has also been quite positive. Looks like a promising product (if not a downright winner) at least on paper. The two things that concern me though are whether M$ will be able to price is competitively or not, and what kind of competition (if any) would it give to the iPad and the plethora of Samsung/Android tabs out there. Personally, I would love to swap in my iPad for a device that gives me the power of Windows (and the ability to run exe files!) in the same form-factor as the iPad. The tablet from Microsoft looks really impressive. Like it a lot. Heard about the impact it has created recently. Many are impressed with it. Hope it has a lot to offer to the enthusiasts who are obsessed with latest tablets. Thanks a lot for sharing this update with us. I think it’s all just window dressing. Kind of hard to call Microsoft innovative these days when their entire store concept is an Apple store clone.